Rich or poor, middle class to struggling class, Black America is a manufacturer of serious talent. 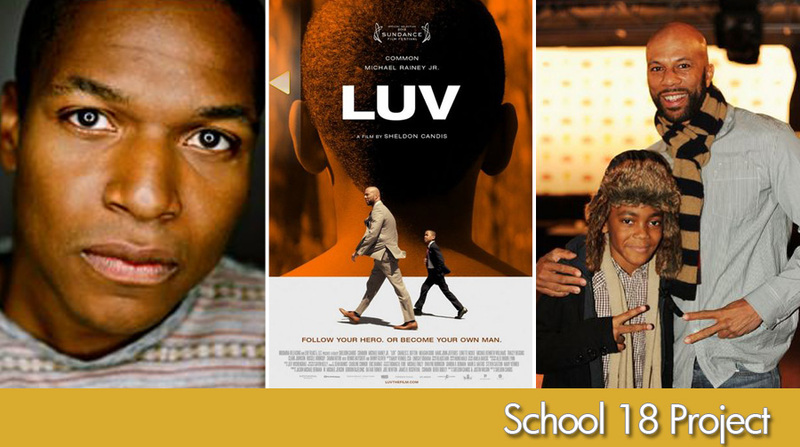 Baltimore bred film director Sheldon Candis new film L.U.V is a “driller” – part drama, part thriller. Filmed in Baltimore with scenes that include the legendary Druid Hill Park, L.U.V. is a coming of age story about the relationship a kid has with his uncle. It is actually born out of a short film Candis directed named Learning Uncle Vernon. For the movie Vernon was changed to Vincent and now you know what the acronym stands for. Common, the rapper and soon to be more known for his acting abilities, plays Vincent, the uncle that his nephew Woody(played by actor Michael Rainey, Jr.) adores. After a stint behind bars Vincent is trying to keep his life on the straight and narrow by fulfilling his dream of opening a crab shack. Woody lives with his grandmother and is longing for that father figure and a ride around town one day with his uncle is about to open another world for the both of them. This is a great film with a thorough cast that includes Charles S. Dutton, Danny Glover, Dennis Haysbert, and Megan Good. Unfortunately it was a limited release but is available on DVD. Sheldon Candis grew up in the Park Heights community in the 1980’s. A film buff since he was a child, one of his dreams was to be a urbanized version of Baltimore’s Barry Levinson. A graduate of USC School of Cinematic Arts, he has lensed projects for a number of companies including the Bill and Melinda Gates Foundation, Rock The Vote, and street artist Banksy. Tagged with druid hill park, sheldon candis, common, rappers, baltimore. March 26, 2013 by clinton green.